Dating after Divorce has a variety of aspects. Men and women act differently. 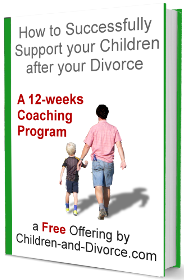 If children are involved, the separated or divorced parents must be careful. Keep in mind that your children are on the top of your priority list. Children often feel abandoned and are angry at their parents for a long time, if they feel that their parents think of themselves first. Divorced parents must not only tell their children that they are the most important, but they must also act accordingly. Many people enter into temporary new relationships after their divorce. To forget, to have fun and to have somebody new to share their feelings with. I gives something else and something new to focus on, instead of all the negative things from the divorce. Usually, it is better to keep a temporary partner away. Remember that when you introduce a new partner to your children and that partner disappears after some time, your children will have to suffer again. They might start thinking they are the reason of the second and maybe of the first separation. Expectations of a new relationship differ from person to person. Is your new partner divorced too? Does he or she has children too? Some expect to have "fun" in their new relationship. They focus on romantic trips together, nice dinners, parties, holidays and more. But they do not want to become too involved into each others family and friends. They try to avoid running into mutual obligations. If this is the case, most of the time the couple decides not to move under one roof. Others want to have a more intimate relationship in which they share and support each other in every aspect of life. Those lovers will certainly move into the same house. The most important things to do is to keep on socializing and maintain your social contacts and enter into a new relationship only when you are ready for it. You must feel single again. Although you will keep in touch with your ex through your children and maybe through a financial dependence, you must be moving on with your life. On dates (and in other social relationships too) do not bring your problems and issues about the divorce. There is a big risk that they walk away. If you have an urgent need to discuss this matter, do it with someone else, like a good friend or even better with a counselor. Instead, talk about today's things, focus on positive subjects and have fun.